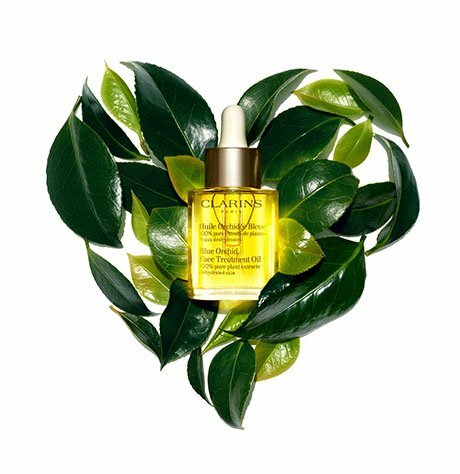 Be guided to perfectly hydrated skin with Beauty Tips from the Clarins Experts. Everything you need to know about hydration. Dry or dehydrated—what’s the difference? The skin possesses “sponge molecules” in the skin are capable of retaining several hundred times their weight in water. 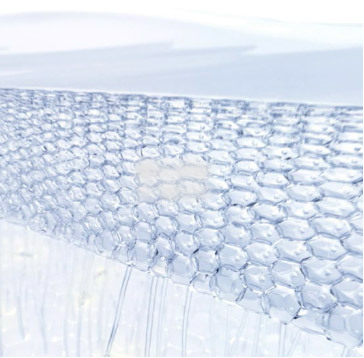 By releasing the water they store, these molecules help replenish the skin’s moisture reservoir for a healthy-looking complexion. 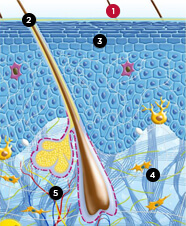 Accumulation of dead cells results in rough, flaky skin. Decrease in “sponge molecules” reduces water retention. 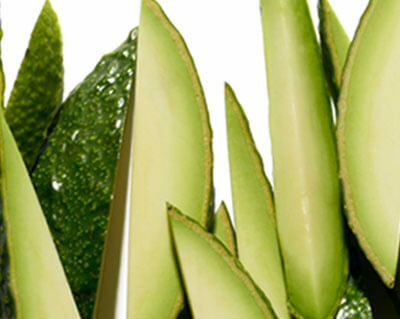 Skin appears smooth, soft and supple. Bored with water? Fruit-infused detox waters are a great choice too. Avocado, citrus fruits, cucumber, melon, oily fish, spinach and kale. Choose formulas that respect the skin’s delicate moisture barrier. Our gentle exfoliators release dead surface cells, prepping skin for the moisturizer to follow. 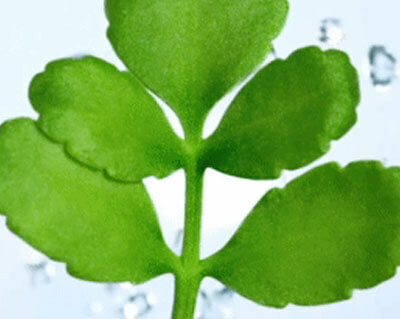 Find a formula that boosts your skin’s natural hydration process. Power your skin’s natural hydration. 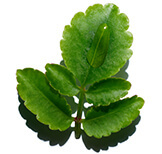 Clarins Research has tapped into the power of Organic Leaf of Life—a resilient succulent plant from Madagascar known for its unique ability to thrive in the face of harsh climates, sudden temperature shifts, pollution and environmental stress. This remarkable plant extract enhances the skin’s ability to retain precious moisture for intensely hydrated skin in any environment. 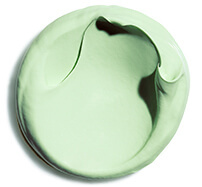 - Before applying your day cream, cup both hands over your face for a moment of pure relaxation. 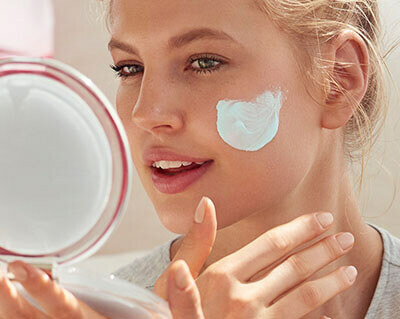 - Using both hands, distribute the product evenly over your entire face to help protect it from skin-aging pollutants and other external stressors. 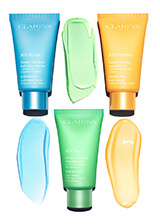 - Clarins’ exclusive Pressure Draining Application Method helps boost circulation to enhance skin firmness and radiance. Both congest pores and damage the skin’s natural protective barrier. Dehydrates skin, leading to redness, inflammations and premature lines and wrinkles. Sudden shifts in temperature deprive skin of moisture. Tight clothing rubs skin the wrong way, compromising its ability to retain moisture. Hot water weakens the skin’s moisture barrier. Hard water and harsh cleansers don’t help. Tension releases cortisol—a hormone that can lead to dry skin, redness or acne. Guys—did you know that with testosterone levels 10 times higher than a woman’s, your skin has several unique characteristics that make it prone to dehydration? Dehydrated skin essential! 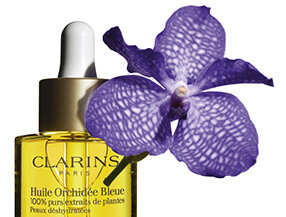 Blue Orchid Face Treatment Oil—with 100% pure plant extracts—helps restore tone, vitality and balance to moisture-depleted skin. Calling it a night? Add a drop or two of a Face Treatment Oil to your moisturizer and hand cream to condition skin in your sleep. 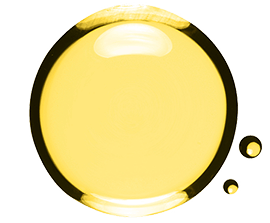 Indoor and outdoor pollutants weaken the skin’s hydrolipidic film, compromising its ability to retain precious moisture. 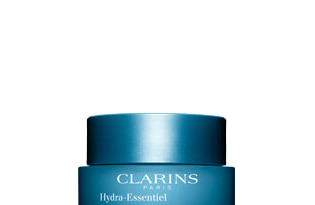 Hydra-Essentiel formulas contain Clarins’ advanced Anti-Pollution Complex—a plant-infused formula that helps protect skin from premature signs of aging resulting from harsh environmental influences.